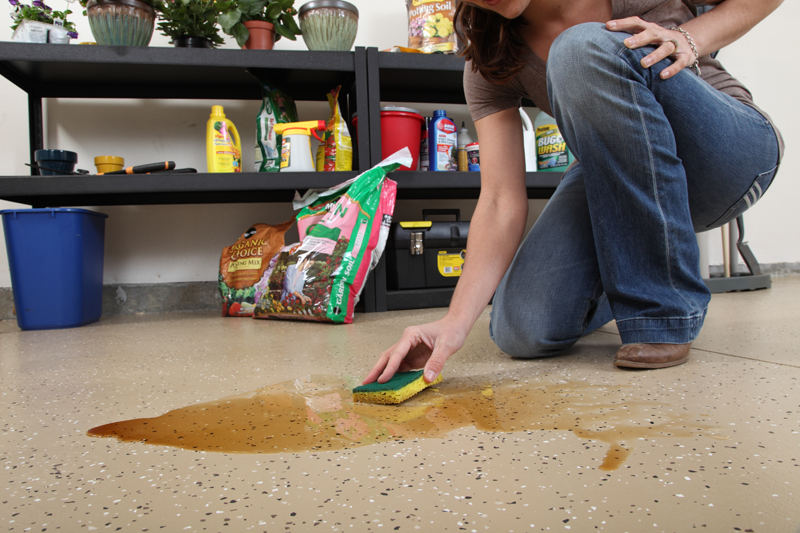 The Rhino Linings do-it-yourself garage floor coating kit transforms the look of your floor in three easy steps. 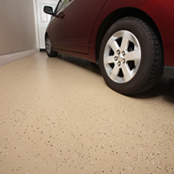 This DIY garage floor coating project can be completed in a single weekend! Be the envy of your neighborhood, start your project today. Visit BuyRhino.com to Shop for All Your Coating and Equipment Needs. Coats approximately 250 sq ft.
Coats approximately 500 sq ft.
* Rhino Linings DIY Coating Kit is sold exclusively at BUYRHINO.COM.
" DIY epoxy concrete floor coating kit for the do it yourself individual who wants a showroom quality epoxy garage floor coating without the big expense. 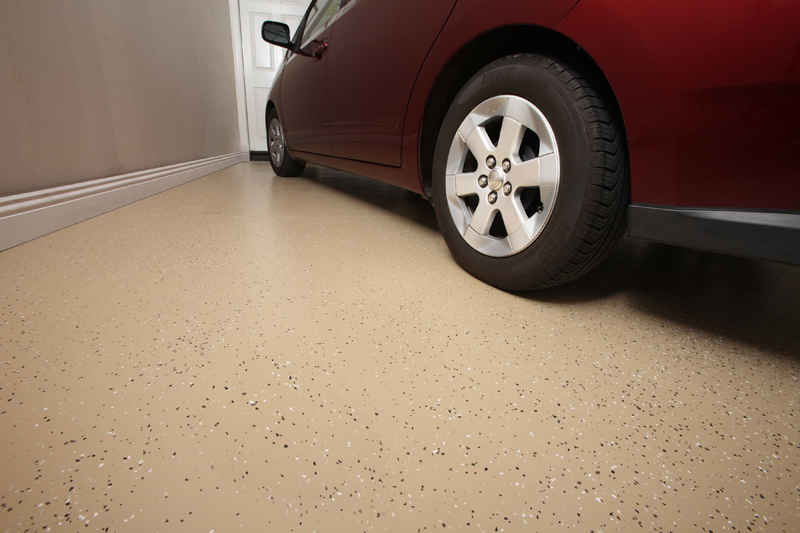 The garage floor coating kit can be over the weekend and is completed in three easy steps: 1. mix the epoxy, 2. roll the Rhino epoxy concrete floor coating and 3. broadcast the decorative garage floor coating color flakes." Complete installation in a weekend and enjoy low-maintenance, showroom results. 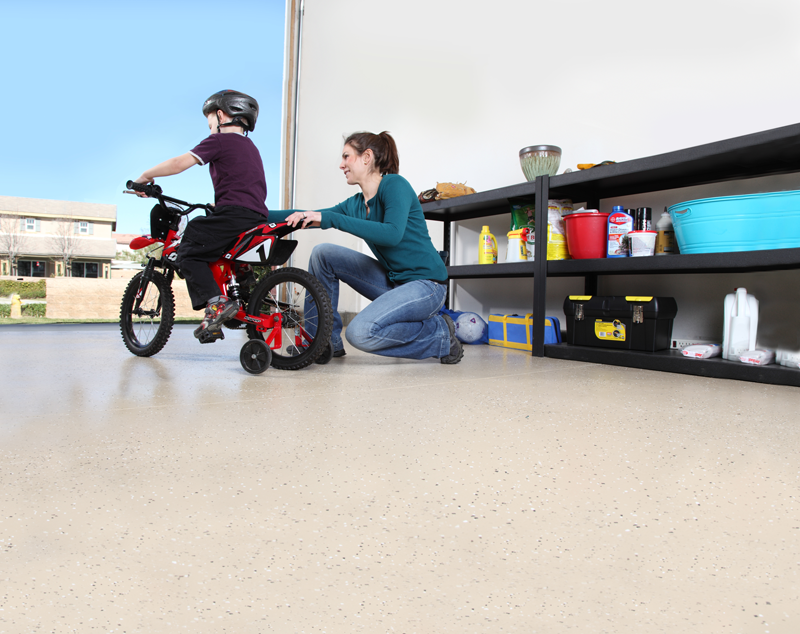 The garage floor coating kit includes step-by-step instructions from floor prep to completion. 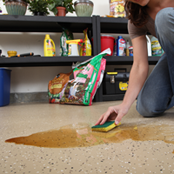 Easy to use, one coat, semi-gloss epoxy that will protect against daily wear and tear. 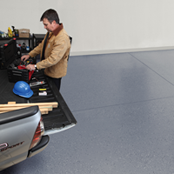 Rhino Linings, the award winning company that brought you durable long lasting truck bed liners, offers protection for your garage floor! 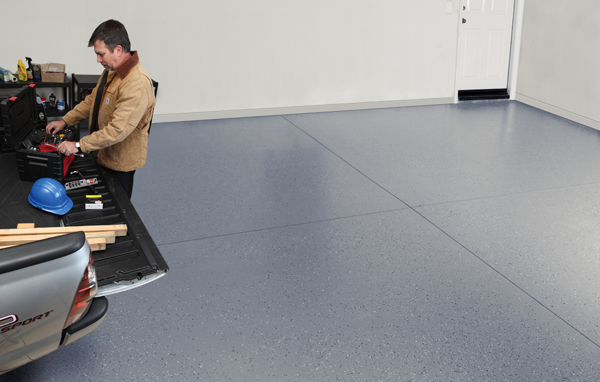 The Rhino Garage Floor Coating kit comes in three colors, dries overnight, protects against scuff marks and resists motor oil and most chemicals. Protection has never looked so good! *The color representations depicted on the packaging may vary from actual surface colors due to priniting and ink variations and other environmental factors. Rhino Linings reserves the right to cancel or modify promotions at any time. Copyright © 2013 Rhino Linings Corporation. All rights reserved.